Join us for a discussion on the support proceedings and modification proceedings in family court. The course materials consist of two case law digests. The course assumes a basic familiarity with child support proceedings. 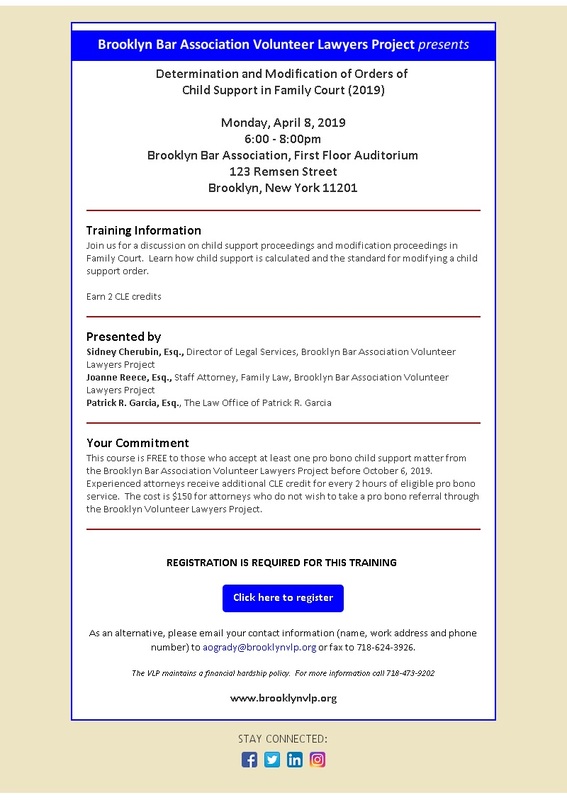 The cost of this course is $100 or is FREE to those who accept at least one pro bono referral from the Brooklyn Volunteer Lawyers Project before September 21, 2012. Experienced attorneys may receive additional MCLE credit for every 6 hours of eligible pro bono service. 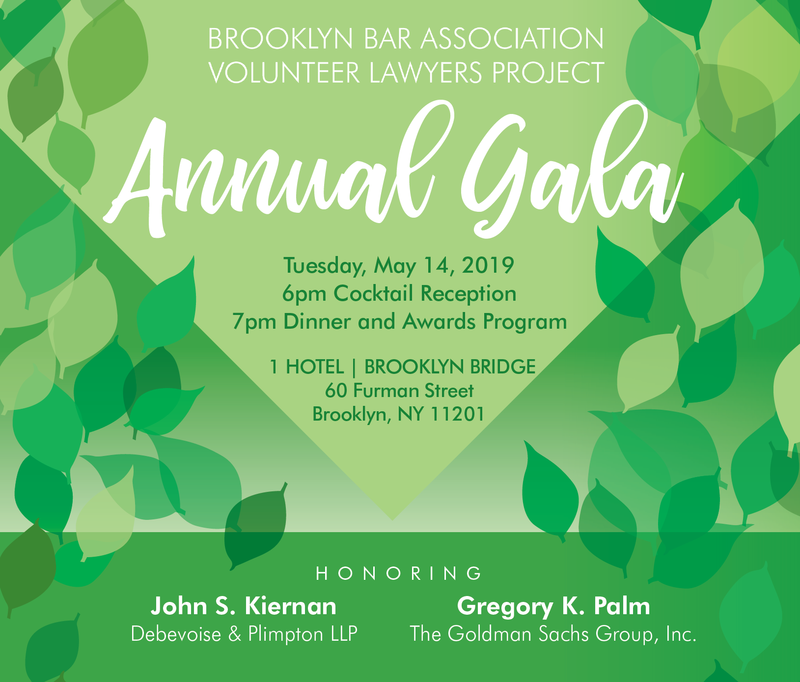 Presented by: SIDNEY CHERUBIN, ESQ., Director of Legal Services, Volunteer Lawyers Project, Inc. Fiduciary Duties, Small Estates, Jurisdiction and Common Mistakes. 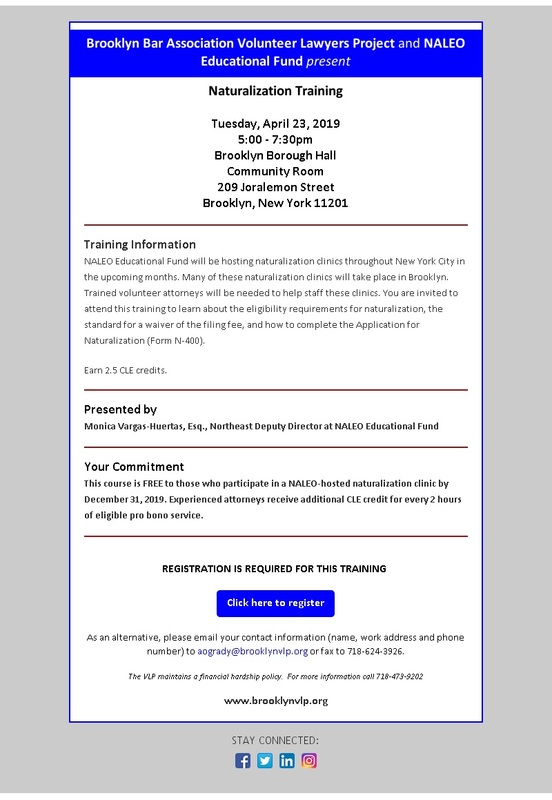 Your Commitment: This course is free to participants who agree to volunteer for nine hours with the Court (three hours per month for three months). Experienced attorneys receive additional MCLE credit for every 6 hours of eligible pro bono service.